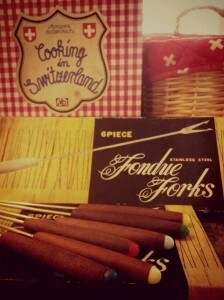 Everyone who attended our last wine & fondue night will agree on what a great fun night it was. So due to its success we are holding another one. The first course will be german style bratwurst and weisswurst, made by local butcher Sellers Quality meats. The main will be very much hands on with each table sharing Miss Kate’s secret fondue recipe based around three cheeses served in communal fondue pots. Dessert will be platters of fresh seasonal fruit. As usual all courses will be accompanied by a selection of our wines. So why get a group of friends together and join us? Please RSVP by Wednesday, 18th June 2014.